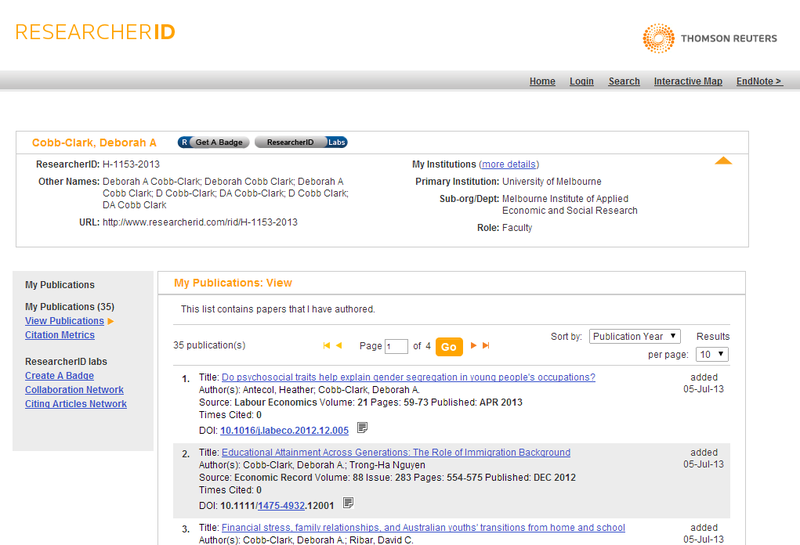 ResearcherID is similar to the Scopus Author Identifier and is a unique identifier for individual researchers. ResearcherID is integrated with the Web of Science (Clarivate Analytics) database. Web of Science Core Collection provides quick, powerful access to the world's leading citation databases. Authoritative, multidisciplinary content covers over 12,000 of the highest impact journals worldwide, including Open Access journals and over 150,000 conference proceedings. You'll find current and retrospective coverage in the sciences, social sciences, arts, and humanities, with coverage to 1900. Make it easier for others to find your body of work and identify you as a potential collaborator. Sign in to Web of Science or register for a free Web of Science account. Select: 'My Tools' > 'ResearcherID' and follow the prompts to register. Click the 'Join Now It's Free' button. Enter your name and email address and a registration invitation link will be emailed to you. Build your own custom profile. 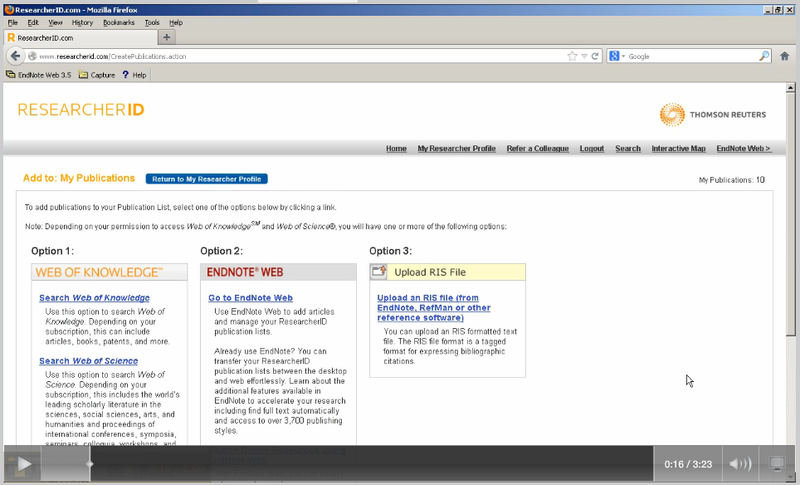 Selecting publications in EndNote Web. Screenshot of researcher's profile taken on the 7th of July 2014. 'Thomson', the Thomson starburst logo, and 'ResearcherID', are trademarks or service marks of The Thomson Corporation or its affiliated companies. Screenshot courtesy of Thomson Reuters ResearcherID.